Our Players and Parents Tell the Real Story of the LBU Training Camp Experience – Complete Library on YouTube! 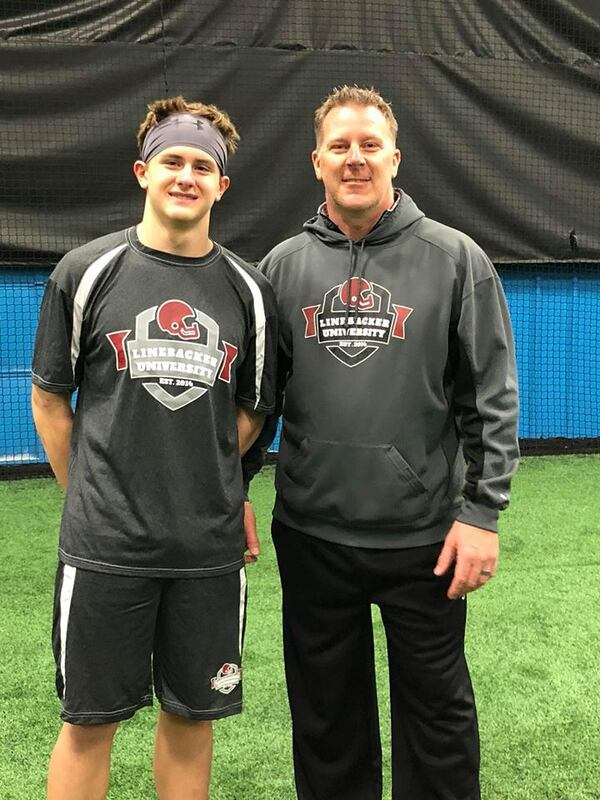 This was our first time at Linebacker University. The experience was incredible, and the number of mental and physical repetitions was astounding. It was just the confidence booster that my son needed headed into the upcoming football season. 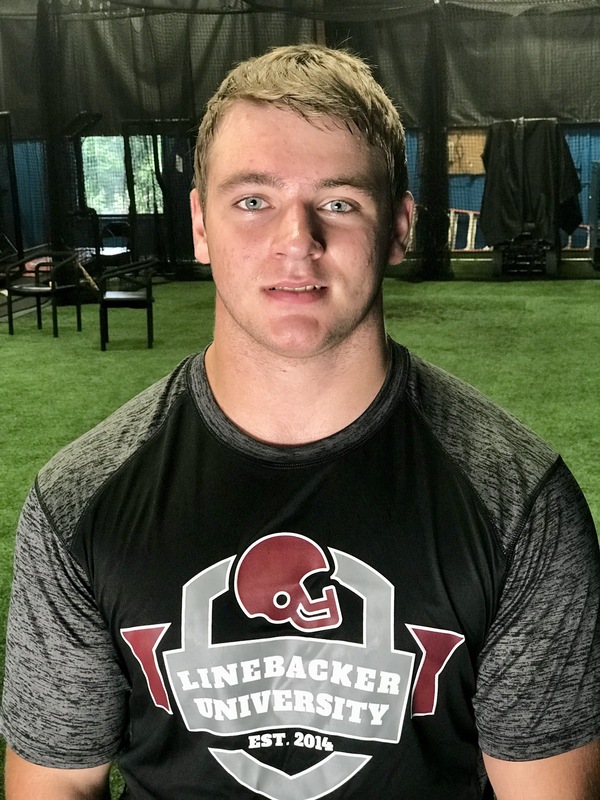 The quality of instruction is top notch and he received more Linebacker specific repetitions than he’s had in the last 4-5 years. We’ll be back next season for sure! This is not your typical $50 here’s a T-shirt, lets watch you do combine drills kind of camp” This is 12 hours of College level skill instruction combined with classroom film review each day. Emphasis is placed on detail and teaching. They keep participation numbers low so you can expect high reps and constant feedback from coaches on a regular basis. This was our second year and we will be back. We are here for 2nd time this weekend. This camp is amazing! Gavin has learned so much to apply on the field. We started here to transition from D-line to Middle Linebacker. This camp has the reps the kids need to make it muscle memory. We will return again Senior year! Thank you Coach Monroe and Coach Dalton for your time and dedication to all the kids. We never feel rushed and the setting is comfortable, but yet pushes kids to the next level. 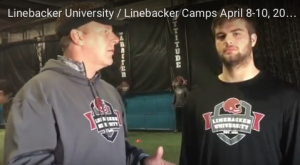 I was looking for a camp that could help my son excel in his position as a Linebacker and I found it in this camp. My husband and son travelled almost 5,000 miles from Haleiwa, Hawaii all the way to North Carolina and the program did not disappoint! My son enjoyed his time there and really learned skills and drills… and my husband was thoroughly impressed. So much so, that we are doing it again next year and staying for 2 weekends instead of just one! Highly recommend this program for anyone looking to elevate their child in a linebacker position. Mahalo coaches for the amazing experience you provided! 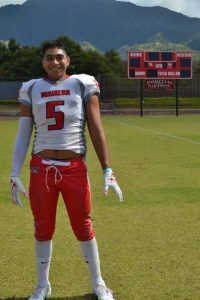 Titus is starting as a linebacker this year on the varsity team and they have him training as a back up safety and running back this year. We look forward to next year and hope to bring more boys from Hawaii with us! Congrats coaches…. keep up the good work supporting these young men. Best football camp my sons have ever been too. A ton of instruction and detail in a short amount of time. The curriculum is designed to build on each skill from the ground up. It’s amazing how much my sons have leaned from this camp. Thanks guys look forward to next year! Congratulations and you do look like a fighting linebacker. 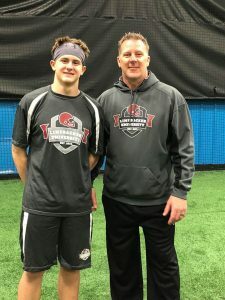 Thank you Linebacker Camps for the “technical” skills training you guys provided Jaz with during your March 6-8 session. The Combine training and hands on instructions given to him for the 1 day camps were essential to his training and development. We look forward to working with you again! I Played High School football with Matt Monroe and will tell you he was the best pound per pound LB I ever played with or against. He played Div-1 at Southern MIss, but would have been 5 star recruit if he weighed 240# In todays schemes, he would have been a beast. Hardest hitting guy I know and great teacher…if I had a son playing FB he would be the 1st guy I called. Outstanding man and great talent and head for the game. Good job Matt, proud to call you my friend.